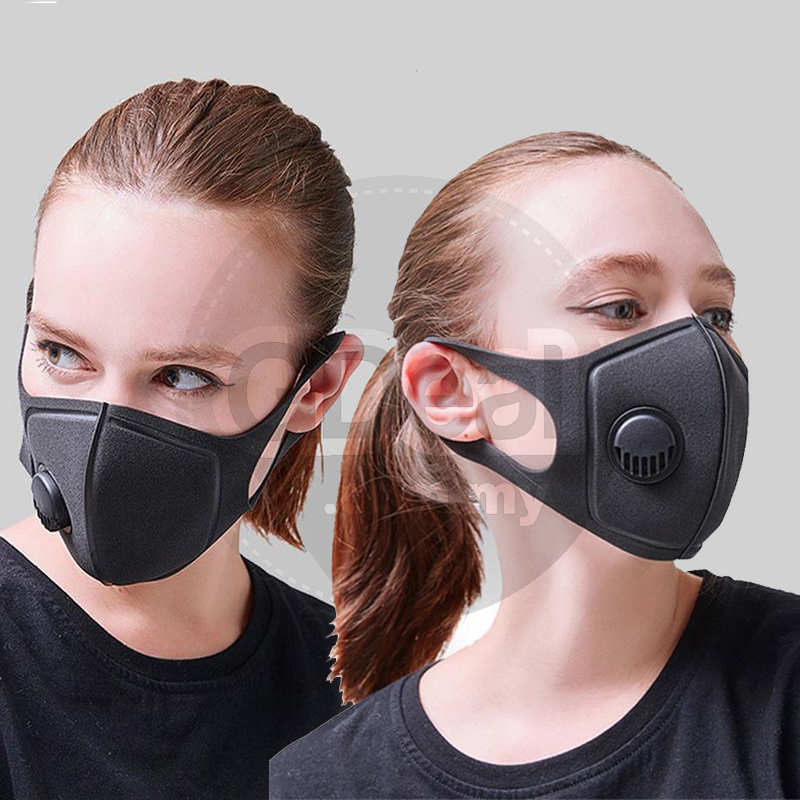 Dust mask suitable for all kinds of outdoor activities where dust may be present. Such as: urban cycling, mountain biking, horseback riding, skiing, jogging, hiking, climbing, and motorcycling and other outdoor activities. Also applies to: dust,ash,fog,vehicle exhaust among other pollutants. The valve is composed of three pieces: a base, diaphragm, and cap. 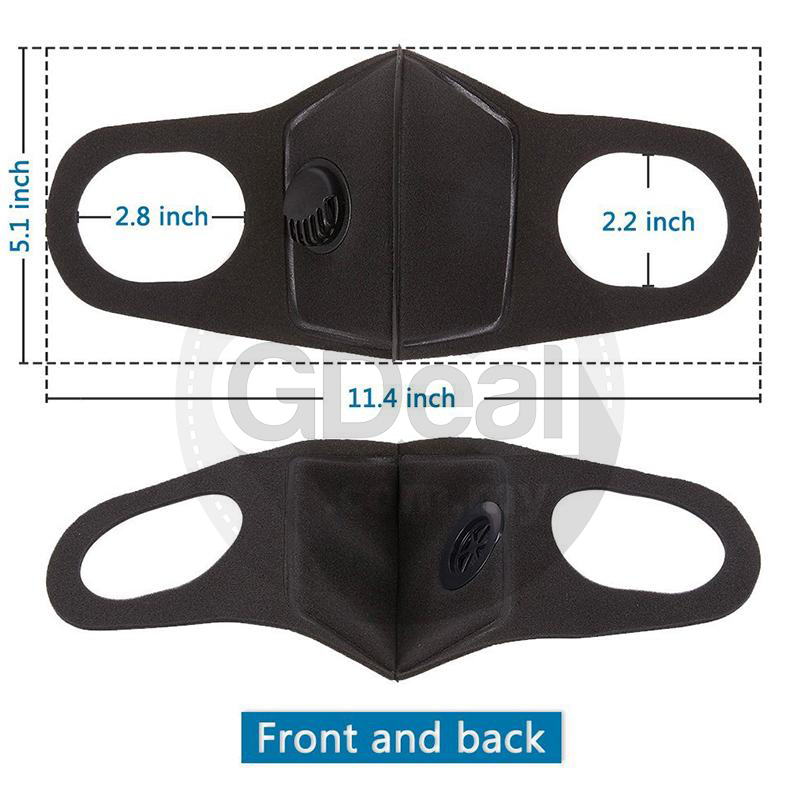 As the user exhales, the diaphragm elevates allowing exhaled air to escape the mask. 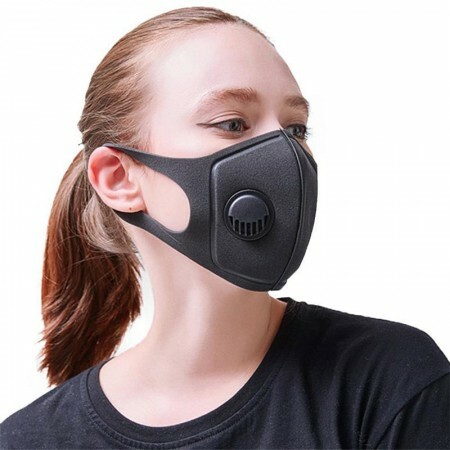 This allows the mask to stay free of condensation build up, dry and comfortable for long term use. Also by having exhaled air exit through the valves, glasses or goggles will not fog up. 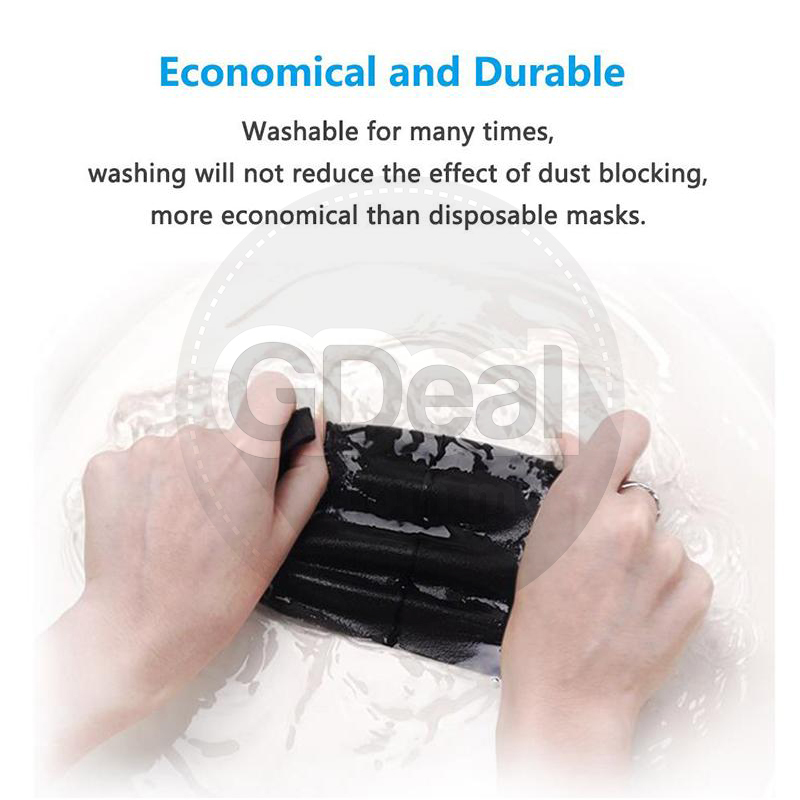 Washable for many times, washing will not reduce the effect of dust blocking, more economical than disposable masks. Material. 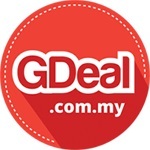 High quality and skin-friendly materials makes you feel comfortable when you wear it. Most important is our product is extensible and stronger not easy to be damaged. 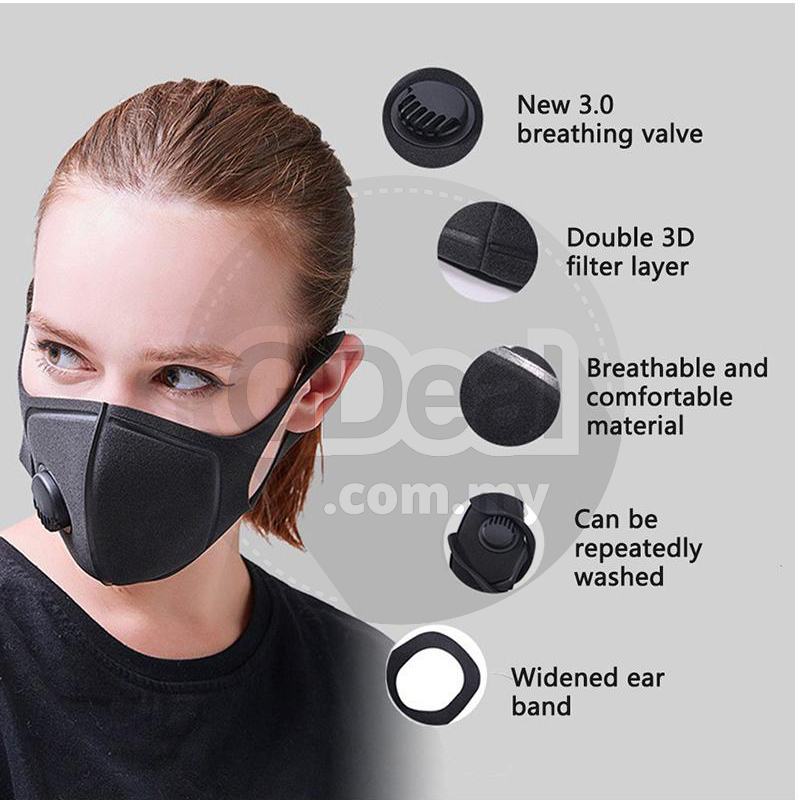 Soft and stretchable sponge material helps you to wear and remove the mask easily. 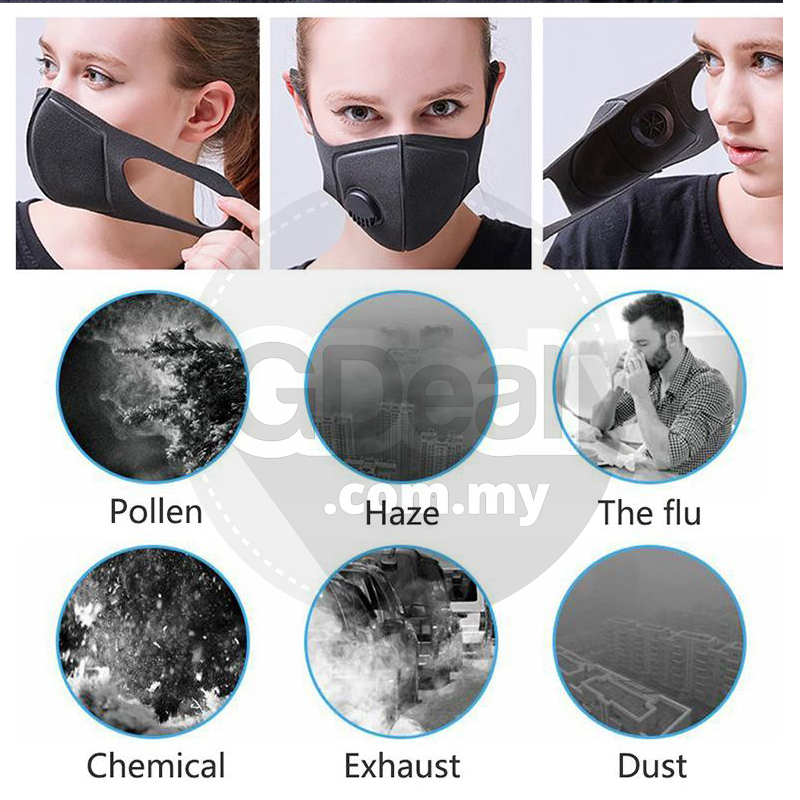 Function: Protect your mouth and face from dust, cold, ash, pollen, allergy, flu, fog and haze, vehicle exhaust, passive smoking and so on. Unique design: With wider nose string, these mouth mask can suit for different people. 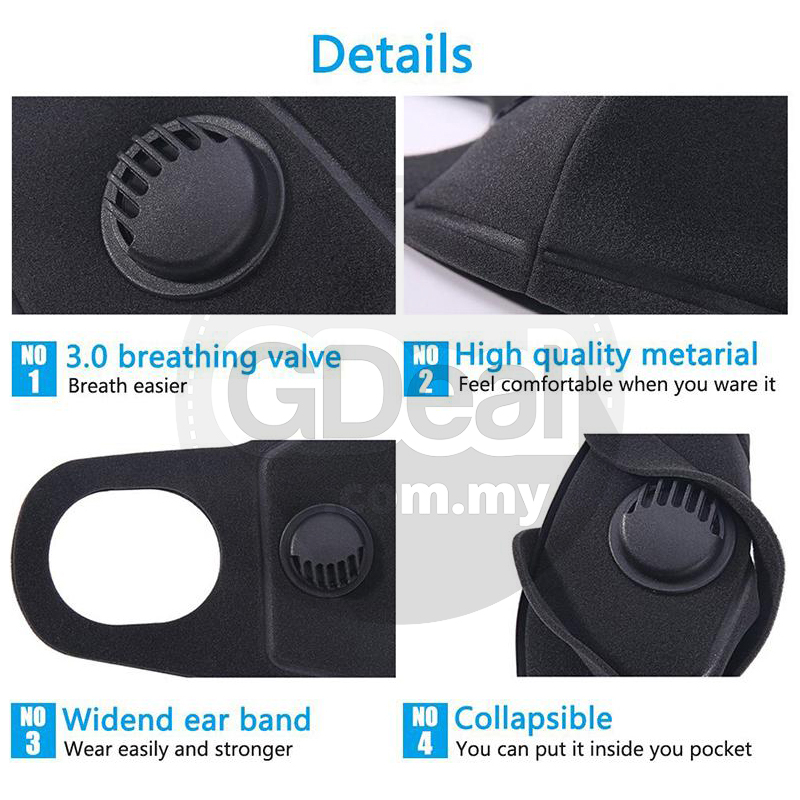 With strong elastic earloop, cover the face from nose to chin, provide a secure, comfortable fit for adult sizes, no worry of coming off your ears. Good quality: Contains 2 layers cotton fabric, the thickness enough for your needs; The inner layer of mouth mask is made of good-quality cotton, feeling comfortable and warm. Washable and reusable.